Next PostNext SeaWorld Orlando’s Infinity Falls Grand Opening October 4! 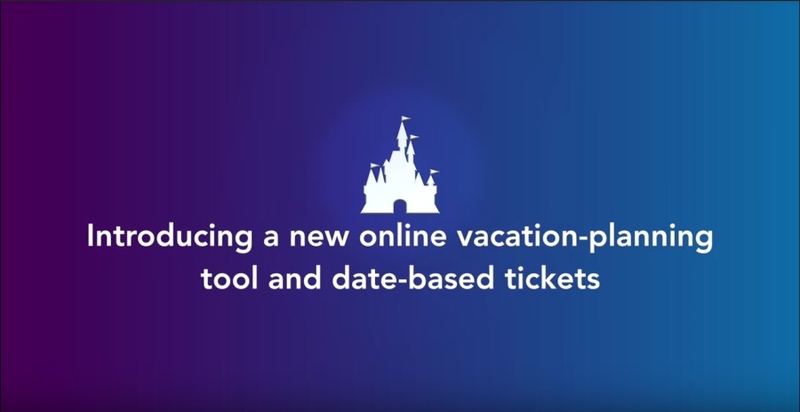 What Does the New Walt Disney World Date-Based Ticket System Mean to You? 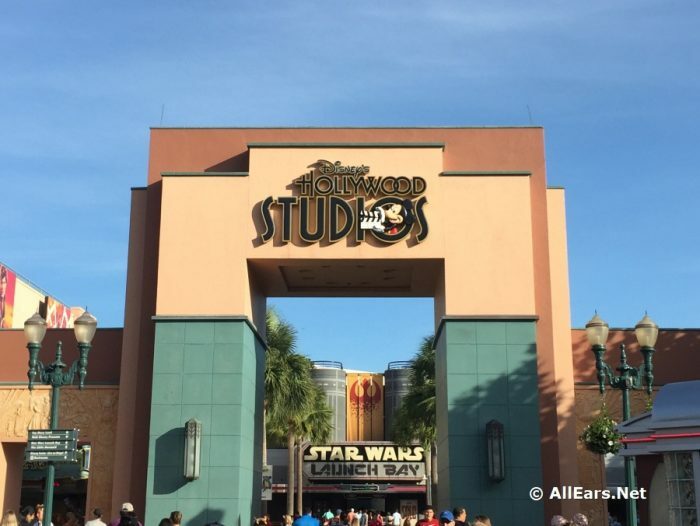 Earlier this week, Walt Disney World announced that as of this Oct. 16 it would begin selling tickets priced by the date of your visit. This means that each day of your park visit will have its own individual price, based on a variety of factors. The new system will use an interactive calendar on which you input the dates of your vacation. The calendar will calculate the cost of your ticket(s) for you. It also will allow you to quickly see the lowest-priced days within a month. For example, prices may be lower during off-peak travel periods. The price per day decreases as you add more days to your ticket. Disney claims that this new date-based pricing will help better distribute attendance throughout the year, as visitors select which vacation time makes the best economic sense for them. As you can imagine, the new system has generated more than a few questions. We’re still trying to figure it all out ourselves, but here’s what we know so far. If You Already Have Tickets, They Aren’t Affected. That’s right, if you bought tickets some time ago for a future trip that’s planned for after Oct. 16 (like me! ), then don’t worry. Those tickets will not change and can be used according to the type of ticket they are. You will not be charged an additional fee. The new system only applies to tickets bought on Oct. 16 and after. If You Buy Tickets Now, They Aren’t Affected. If you purchase your tickets now, before Oct. 16, you will be able to use them according to current rules. Even though the new system was announced, it only applies to tickets bought on Oct. 16 or afterward. This means that if you buy a ticket prior to Oct. 16, you’ll be able to use it for the first time at any time before Dec. 31, 2019, rather than on specific dates. Then you’ll be able to use any remaining days on the ticket before it expires (14 days after first use). Because ticket prices go up every year it might make sense to buy tickets for your next Walt Disney World vacation now. Just be sure to confirm that you’ll be able to use them as usual through 2019! As of this writing, no information has been released on any changes in the Annual Passholder ticket program. If You Want to Park-Hop, You Still Can. The Park Hopper option will still be available as an add-on. The add-on price should be about the same as it is now — subject to change, of course. OK, so much for what’s NOT affected. What HAS changed with this new date-based pricing system? When you purchase your tickets under the new date-based pricing system, you will need to specify when you are going to use them. That effectively means you pick a start date, so you have to be sure of when you’re visiting the parks. You can purchase a ticket with a flexible start date, but we’re not sure yet what that add-on feature will cost or exactly how it will work. Tickets purchased on Oct. 16 or after that date, will need to be used during a specific time period after first use. We don’t yet know what that time-frame will be, but expect it to be less than the 14-day window you have now. Tickets bought through Authorized Discount Ticket Sellers (like AllEars.Net’s recommended provider MapleLeafTickets.com) will be selling the current tickets until Oct. 16 — how long they’ll be valid depends on the individual seller, so be sure to ask. Starting Oct. 16, these ticket sellers will sell the new date-based tickets. There will still be a slight discount available, similar to what’s offered on current tickets. And that’s all pretty much what we know for sure so far. We’re still not sure how this date-based pricing will affect vacation packages and suggest that you contact our recommended travel partners Mouse Fan Travel for help with booking or if you have questions about package deals. We also don’t know whether the new system will affect the prices on tickets bought at the gate or whether there are more changes coming down the pike. Disney has used date-based pricing on hard-ticketed events like Mickey’s Not-So-Scary Halloween Party for years — we don’t know if the new pricing system will affect these sorts of tickets in any way yet, either. But we will, of course, continue to report on any changes we find out about, and will try to answer your questions as we learn more about the new system ourselves! Let us know in the comments below what you’re thinking about the coming date-based pricing! While I was looking at park hours on another website for our trip in April 2019, I noticed that the price was projected to be different for different parks all on the same day? How will Disney charge us if they don’t know what park we are going to be in on what day? I want to purchase a 9 day park hopper pass for each member of my family. I’m wondering if they are going to make any changes to the annual passholder tix. I suspect many will look to those now. I usually only go once a year (same time in Oct for food and wine) but this year going January as well. It’s honestly a wash if I buy tix now vs. the annual pass as one trip is 3 days and the other 5. But…of course you get those other discounts with the passholder. Anyway, I might just buy my Jan tix now and then see how much that October 2019 price is later. Ugh..or I might buy that annual pass. Decisions decisions. If you see anything I’m missing here, let me know! Thank you!! Hi Deb. We are planning to visit from Dec 7 – 15, which is prior to what I would consider to be peak (12/16 – 1/1). I’m no Disney expert, that’s just what my research showed, that the 2 – 3 weeks after Thanksgiving week but before Christmas Break traditionally have smaller crowds. Assuming that is accurate, we’re thinking of waiting to purchase until after 10/16, hoping that the new date based pricing might actually be lower during the period of our visit than they are today. Is this a logical plan, or do you think we are we going to kicking ourselves for waiting? The trouble is we don’t know for sure whether ticket prices will go up or down with this new system. We do know, however, that the new tickets will be less flexible — you’ll have to start using them on the specific date that you choose when you buy them, unless you pay extra for the flexible start date option. You’ll have to decide whether having that flexibility is important to you. so If I book a 9 night ressie and only get a 5 day PH and Disney says it has to be use within 7 days and I want day 2, 4 and 6, 8 as off days. That won’t work. So I have to adjust to what Disney wants me to do. Second, We had to cancel our OCT 2018 trip (sickness). We moved it to May, 2019. We have hard tickets from UT that say they expire on Feb 28, 2019. Can I just paid the difference for a new ticket in May? I currently have tickets for Jan 16 — 19, 2019. Do you have any idea what will happen if the cost goes down (I’m sure that’s unlikely) from the amount I paid for them when I purchased them this past August? Do you know whether I would get a refund? Hi Michelle, we don’t have the full details yet on how these tickets will work, unfortunately, so can’t really say whether you’ll get any refund if the price should go down. We’ll be keeping an eye on out for any new info. Do you recommend buying tickets before the new policy takes affect. I’m planning a February 2019 trip. I was hoping to buy left over tickets thru a discount ticket agency after the 16th, but it sounds like that won’t be allowed? Kathy, from what we know so far, after the 16th everyone will be selling the new tickets, even ticket discounters. They will still offer slight discounts, but the tickets will have to be used according to the new rules, whatever they turn out to be. It might make sense to buy your tickets before the 16th, just make sure you know what all the “fine print” on their use is! I have a vacation coming up This December 9-18 and while I was looking at my reservation on My Disney App I noticed that it stated that my 8 day parkhopper tickets where only valid thru 12-18-18 which is the last day of my vacation so not a problem for me but in the past it would state the 14 days after first use so it seems that the NEW expiration dates may already be in the works NOW. Just wanted to point it out so you might want to check on it. A Disney vacation is becoming more complicated than solving a Rubix cube. Advanced dining, advanced fast pass, a hundred different ticket options, magic band tracking your every move like a convict wearing an ankle bracelet. Corralling more and more to their time sharing scheme to further complicate and control every aspect of their visit. The date-based tickets are just the next method of manipulation. Disney World in the 80’s was so uncomplicated and enjoyable. Couldn’t agree more, Ken. We haven’t gone since the inception of magic bands, and I’m finding we’re less likely than ever to return. While we used to enjoy making our own schedule for the week, we knew it was flexible for the most part if we needed it to be. Now, it seems like Disney is making our schedule for us, with next to no flexibility. I know, it’s almost depressing Doug. Living in Florida in the 80s, we often used to decide at the last minute to go to Disney World (at slow times). We would drive through the front gate without a reservation and just go check in at the Disney hotel that interested us at the time. And while doing Epcot we just popped in to whatever restaurant we were near when we got hungry. I guess no paradise lasts forever. Enjoy your new adventures! I completely agree and while it has always been expensive it seems unless you are rich you might as well go to smaller more economical parks because the prices for tickets, food, rooms, and now parking fees to park your car at the resort is absolutely ridiculous. If they are going to go up on fees, which they have for years, they could at least be more flexible with fast passes and the use-by dates for the ticket! Grrrr….Our family is probably done with Disney! It’s was a nice run but not enough change of atmosphere (we have watched Philharmagic (a really good 4D), and all the other really subpar 4D movies until we are sick of them! Shows like the Beauty and the Beast, Little Mermaid with the crappy screen have all been watched way too many times. They bring in a new theme like Star Wars (we don’t even like SW) or Toy Story (with 2 measly rides and one is comparable to a carnival ride) but dang how many more times can you expect us to see the same Indiana Jones storyline? Really Disney???? Really???? Our most recent trip was planned and executed by friends that are DVC members. They love planning unlike me – probs last Disney trip for awhile as it is cost prohibitive and all the preplanning is mind numbing for fly by the seat of your pants people. It means that the parks will now be grossly overcrowded 365 days a year instead of only 345 days. What about when you are planning to go for a date range but plan on having off days during that time where you aren’t going to the park? Cheryl, I think that’s why you have so many days after first use to use the tickets — in the past you had up to 14 days after first use, so that would allow for days off in between park visits. We’re not sure yet what the timeframe will be with the new system. We already booked our November 2019 ticket so we are all set with tickets. I certainly am going to go on line one day after October 16th and see how the price on my package compares to the new cost for the dates I need. It will be interesting to hear the comments once this goes live. 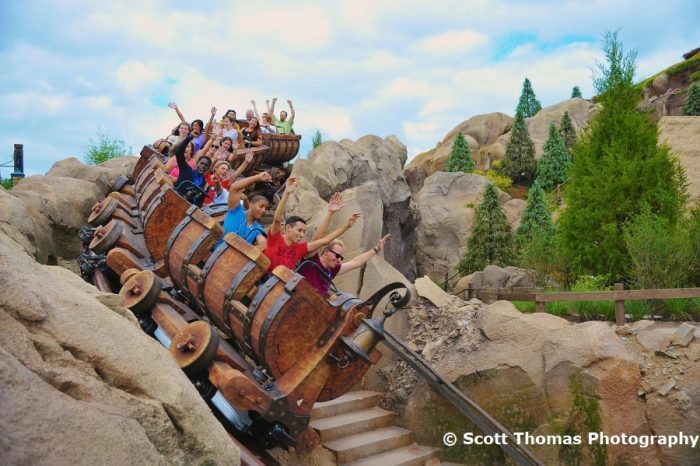 We purchased 9 day park hopper in August for a trip end of Oct/Nov. We were thinking at the time we may need 10days but figured we could just get them at the park as an add-on for about $10. Now we know that we want 10 days. What is that extra day now going to cost us ? I keep hearing $45 a day. If that’s the case we won’t be adding a day. Unfortunately, we don’t know for sure yet what an extra day might cost, but I’m wondering if the “old rules” will still apply in your case, since you bought the original ticket before Oct. 16. We’ll see if we can find out for you. I would call Disney before the 16th and add on that extra day. The exact same thing happened to us. We bought 7 days of tickets, thinking we weren’t going to the park the morning of Mickey’s Very Merry Christmas Party. We changed our minds and decided we wanted to go. I called up Disney and they added on the extra day ticket over the phone for $10 each, the exact same price it would have been if we had bought the 8 days to start. I can only assume the price will be higher with the new ticket change, but you should be grandfathered in with the old system.